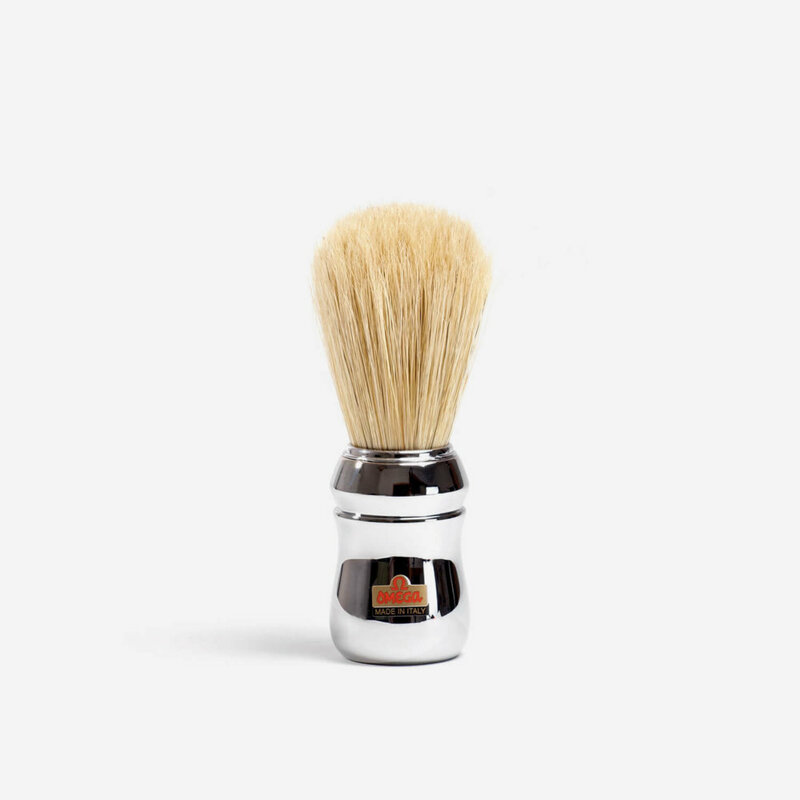 Large boar hair shaving brush with a chromed plastic handle. I’m impressed. So nice to use and oh so very soft. Decent enough for the money. The handle us a bit light but the bristles are long and firm. Does the job. Pretty good value. Bloody hell though, this brush is a beast, it’s huge and just eats through soap. I couldn’t use it to face lather due to the size but it bowel lathers just fine. It holds a lot of soap though so don’t load it to the max unless you fancy about 10 passes. Be aware if you’re starting it does have that boar brush smell but after conditioning and a bit of use the smell will go. Mines starting to break in now and it performs fantastically. What more can I say. No negatives, just a GREAT BRUSH from an equally GREAT SELLER. Brush is good. A bit smelly at first, but a couple of sessions shampooing it has helped. It looks as though it should last a long time.